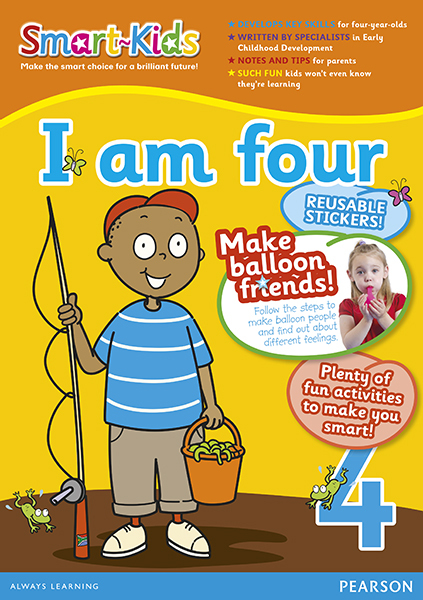 A full-colour activity book designed to develop key skills for four-year-olds while they do activities they will enjoy and interact with the loveable Smart-Kids characters. Detailed notes support parents. Includes early Mathematics, Home Language and Life Skills activities. Includes detailed notes and tips for parents. The notes explain the purpose of activities and give parents ideas for extending the activities. Full colour activity book with beautiful illustrations and photographs and 60 removable stickers. Children will love interacting with the loveable Smart-Kids characters.